U.S. 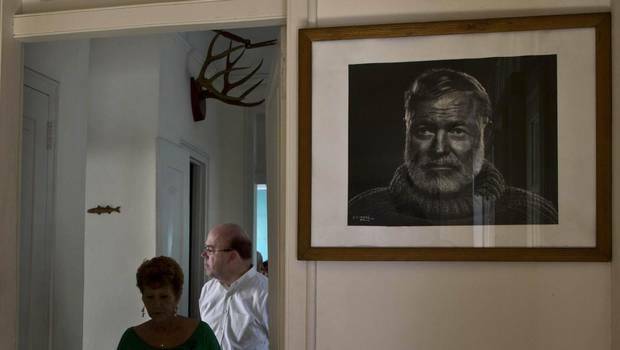 Congressman Jim McGovern visited Ernest Hemingway’s former home outside the Cuban capital on Monday to celebrate a joint U.S.-Cuban effort to preserve and digitize the Nobel Prize-winning author’s personal effects and writings, Canada’s Globe and Mail report. Both the United States and Cuba, where Hemingway lived from 1939 to 1960 and wrote much of “The Old Man and the Sea” and other works, claim the man known affectionately as “Papa” as a favourite son. McGovern said that kind of common ground can help bridge the often-bitter divide between Cold War foes Havana and Washington. Last month, thousands of digital scans of Hemingway’s Cuba papers were made available at the John F. Kennedy Presidential Library and Museum in Boston. The library is home to the world’s biggest Hemingway collection, including 90 per cent of his manuscript material.